The idea is really very simple: choirs from all over the world sing the same song at the same time for World Peace every third Sunday in February every year. 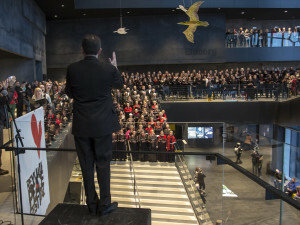 In February 2015, thousands of singers from all over the world sang and became peace makers in this first year of the Reykjavik Peace Festival. 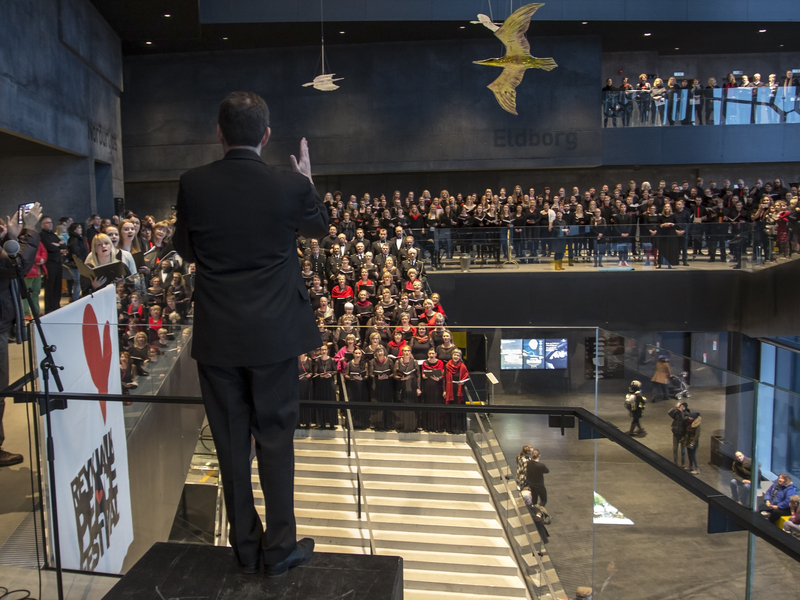 The moment in Harpa Music Hall, on the 22nd February 2015, when over six hundred Icelandic choir singers joined together to sing the song Love for world peace was unforgettable both for the singers and the audience. But how was the idea of the peace festival born? 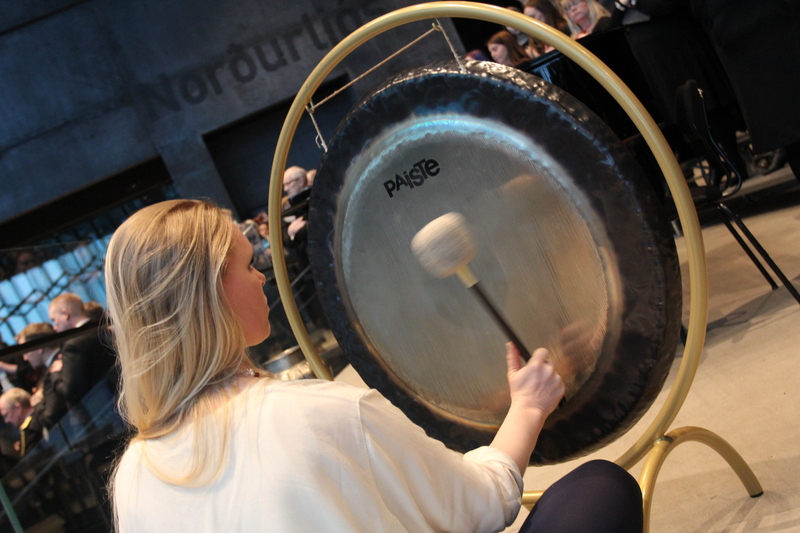 As Ymir Björgvin started to look for an artistic director for the festival he soon hit upon the name of Ben Parry. Parry was fascinated by the idea and declared himself willing to take part. Besides being one of Britain’s best known orchestral conductors, Parry has worked with Sir Paul McCartney and conducted many major film soundtracks, such as Harry Potter and The Hunger Games. 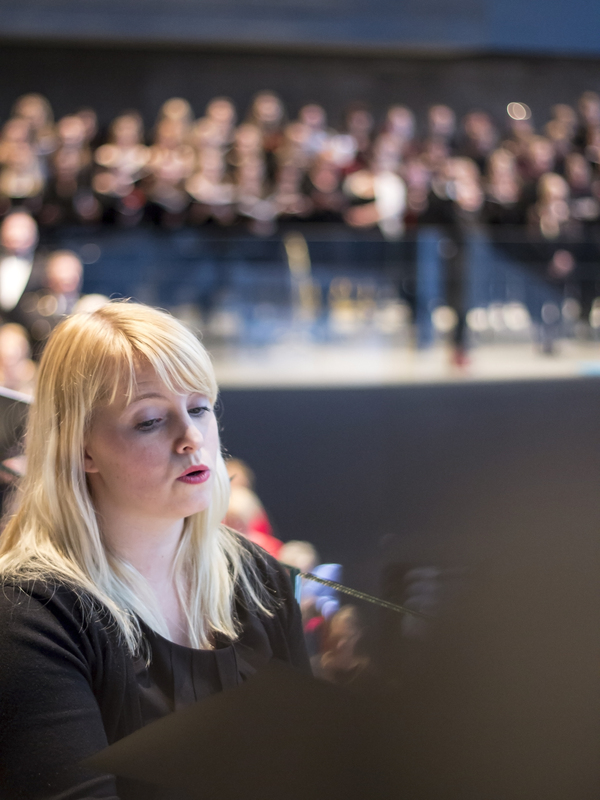 Parry was recently appointed the new Director of the National Youth Choirs of Great Britain. 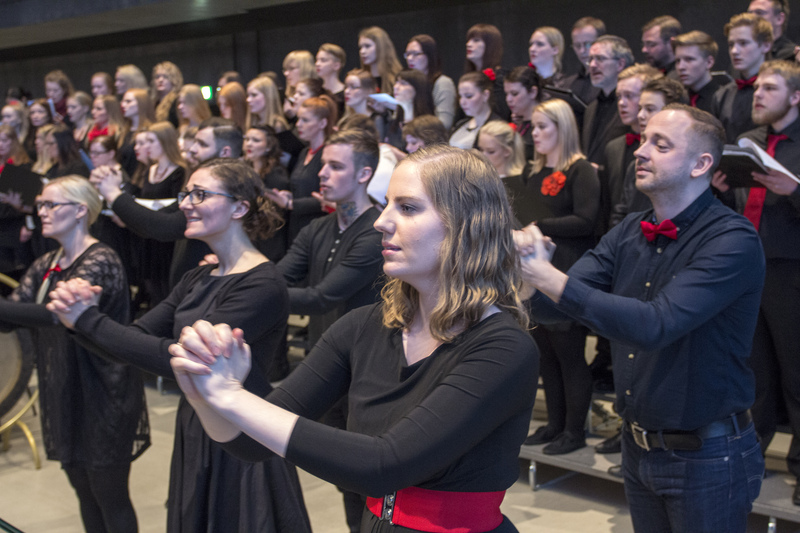 Choirs are already signing up to come to Iceland in February 2016 (18th – 22nd February) and join in the programme of peace, fun, people, nature and singing. Ymir says that the team of organisers is really looking forward to sharing the natural scenery, city, culture and people with the singing guests from different parts of the world. 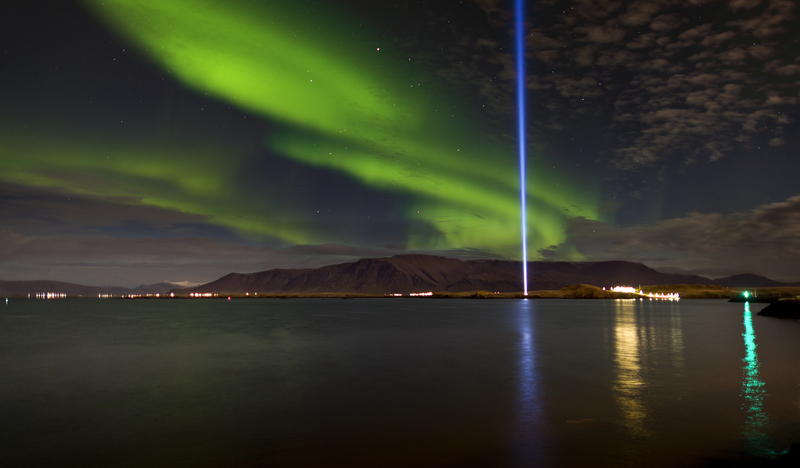 Reykjavik Peace Festival is now officially part of the winter calendar of Reykjavik City, following the major success of its first year in 2015. The third week of February will from now on be Reykjavik Peace Festival week and the locals are looking forward to hearing the visiting choirs sing in a variety of locations, not least the final choral gathering in Harpa Music Hall. 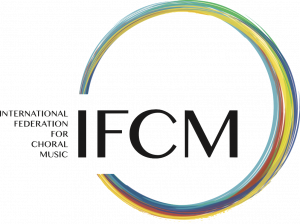 The detailed programme for visiting choirs can be found on the website of the Reykjavik Peace Festival (www.reykjavikpeacefestival.com). Ymir would also like to mention that the festival team is truly thankful for the generous support of both the city of Reykjavik (http://www.visitreykjavik.is) and the national airline Icelandair (www.icelandair.com) as well as a group of several legends in the world of music and culture.